Have you seen our truck? Catering by Seasons is growing fast! We recently purchased another new, more energy efficient truch to our fleet. 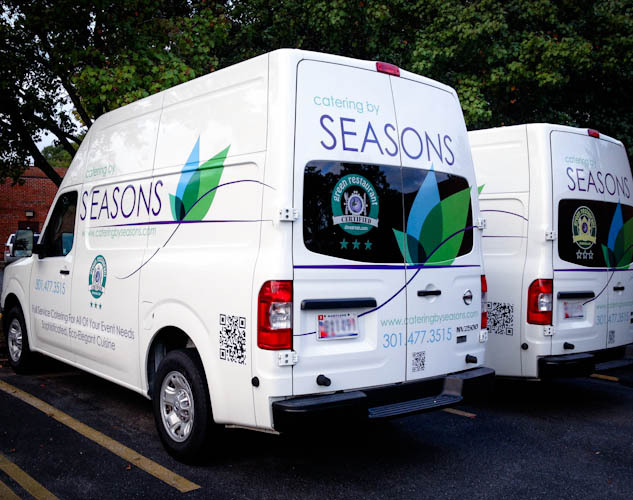 Next time you see one of our Catering by Seasons trucks at an event anywhere in the DMV, snap a picture and post it on our Facebook page for a chance to win one of our reusable insulated totes full of farm fresh veggies! Catering by Seasons is dedicated to environmentally responsible practices. We encourage customers to adopt a sustainable lifestyle as well. For more details on how to incorporate green into your daily routine, subscribe to our Blog! 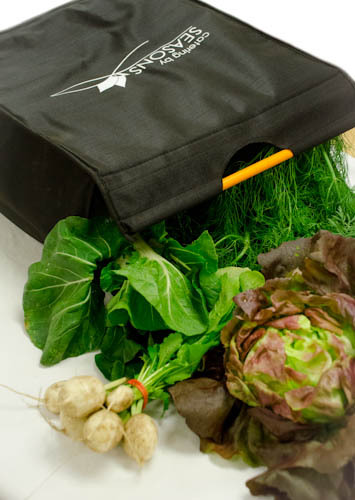 Produce for this promotion is from our partners at Groundworks Farm, a CSA based farm on the eastern shore in Maryland. Some of the produce currently available includes organically grown lettuce, carrots, turnips, fennel, sweet potatoes, greens and more. Like Us and post your pictures before November 1st for entry.